I love listening to her song, especially "Born to Die", she did OK with the song, she offered us a different kind of pop music, with the way she sing the song and her expression, totally new. Her image that I saw is representing 50's Hollywood celebrity beauty, when you know the time when "black pearl" are still rare or restricted. Excellent fit with fashion magazine, but it is too much when you say that Lana will be the next big thing, she can sing but she is not a performer, at least from this video that shows us, and the top rated comment who said that she a bit nervous but she extremely good in any beautiful designer dresses, waiting her for acting debut??? And I just found an interesting illustration from the one and only Achraf Amiri - and as you can see, her upper lip is being stung by a bee. Yes, some people complaining about her lips, some people said that its about her surgery, and like "look, what's wrong with her lips? 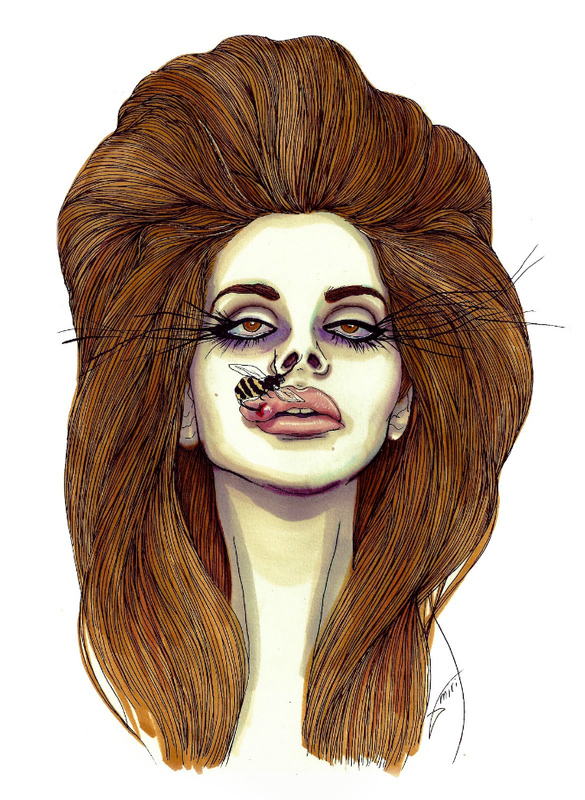 ", but she is Lana, she is look stunning, and i love her lips and no offense I love this illustration and i wish she will not committed any plastic surgery - keep up the beauty. wow, the illustration is GORGEOUS ! Love her! I don't know why people were so hard on her. She just has a different style!